This is a scenic and challenging ride with about 35,000 feet of climbing starting in Baker City Oregon. The start is on the east side of the Eldorado Inn, at the junction of Campbell and Birch Streets, conveniently located next to the Baker Truck Corral where there is a large restaurant (Open 24-7) and a Safeway two blocks west open 6 to 12 am. There are several other hotels near by. The starting time is currently set at 05:00. The starting direction of travel is east, into the rising sun. Starting before sunrise allows riders to get underway and out of town before having to pull down their cap visors. An earlier start increases the chance of getting to services before they close at Joseph on day 1 and at Ukiah on day 2. The ride consists of three loops, one for each day more or less and they all start and finish in Baker City. Riders can establish a base camp in their hotel room with a bonanza of gear and goodies. Riders are responsible for their own motel rooms and may choose any motel or hotel in the area. You will want to be in good physical condition to ride this brevet. The Blue Mountains are one of the most beautiful destinations in Oregon and many of the roads in the 1000k brevet are scenic Oregon Biways. Day 1 circles the Wallowa Mountains and day 2 circles the Elkhorn Mountains climbing over Little Alps and Anthony Lakes. 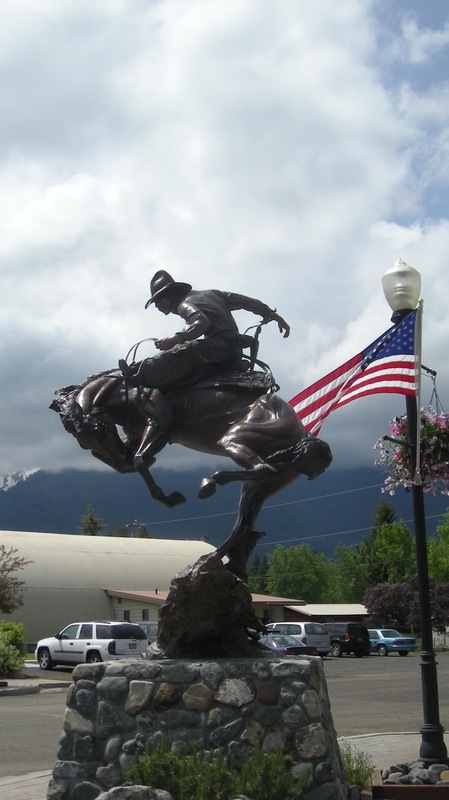 Day 3 goes to Sumpter and Granite and follows the Grand Ronde River north to La Grande. (*) Max distance to services will depend on arrival time and store hours. Registration will open in to be determined, probably July or August, 2016. There will be a minimal cost (to be determined) covering necessary expenses for the event. 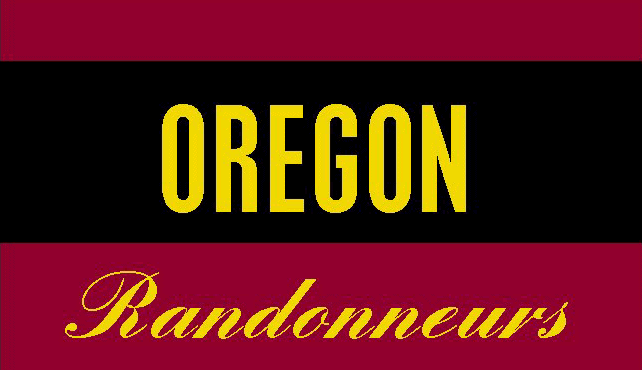 The Oregon Randonneurs does not charge a fee for their brevets but the OBM1000 event will need to cover costs that include: gasoline for volunteers driving to and from Baker City, cost of printing brevet cards and cue sheets, cost of a control room at the Eldorado Inn, and the cost of providing a staffed control(s) between Ukiah and Baker City. Unused registration fees beyond $5 will be returned to the riders. The status of the water sources, services and controls will be confirmed during the pre-ride. Contact the Organizer if you would like to pre-ride the OBM1000 on August 26, 2016. Final route sheets, printed to fold in several font sizes, will be provided at the brevet start in Baker City. The final GPS tracks may be downloaded two days after the pre-ride from RideWithGPS. The RideWithGPS link goes to an event page that can show you all three loops. Press the [SHOW ALL ON MAP] button at the bottom of the page to see all three loops. There are several long distances (more than 75 miles) between services. The longest distance between water sources is 66 miles. The small towns do not have open services past 20:00 sometimes 21:00 hours. The Safeway in Enterprise closes at 9:00 pm. The only services open 24 hours are located in La Grande and Baker City. Where available, water sources are noted on the route sheet. A list of services and water sources from the route sheet is provided here. The route sheet shows close time for each entry in the route sheet to help riders keep track of their rate of progress. Open and close times are provided for information controls on the route sheet only as a convenience. There is no time requirement for riders to reach or leave information controls. The controls on day 2 are information controls so riders cannot be disqualified for their rate of progress at Austin House, Ukiah or Anthony Lakes. Don't be late returning to Baker City. 13-Jun-2010: Seattle Randonneurs pause to eat. Riders who are unsure of their ability reach Ukiah before the store closes at 20:00 should pack enough lunch to go another 65 miles. The plan is to provide some warm, stomach-friendly calories, beverages and caffeine at Anthony Lakes. Water is unlikely to be a big problem. The longest distance between water sources is 66 miles between Bates State Park and Ukiah-Dale Forest Scenic Corridor. The Austin House at mile 309 is closed on Tuesdays and Wednesdays. There is a staffed control at Anthony Lakes. Riders can add lunches to the Organizers ice chests for transport to Anthony Lakes or leave the Organizer with some money and a shopping list for Safeway or Subway.